This reference design is for a complete Optical Heart Rate Monitor wrist watch (no chest strap!) 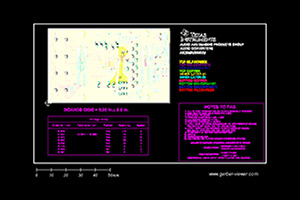 end equipment featuring TI signal chain, power, and connectivity components. With TI's AFE4400 AFE, you can accelerate and simplify your wrist based HRM design while still ensuring measurement performance needed for serious Fitness designs. 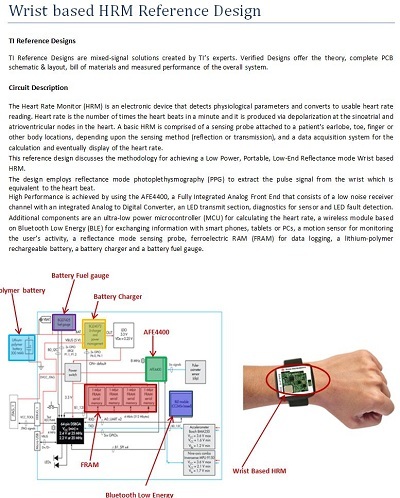 This reference design also includes a full BLE connectivity design for easy interface to BLE enabled smartphones, tablets, etc.